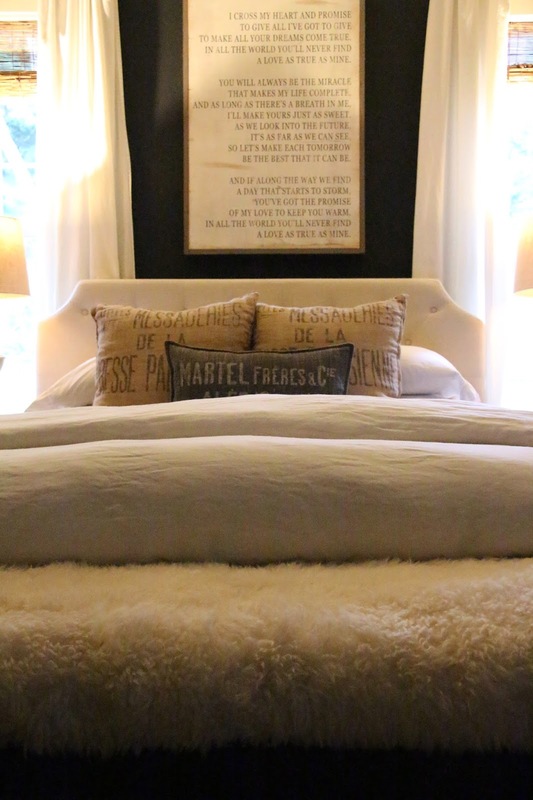 Looking for a little change, I just covered our bedroom bench in a sheepskin rug. I also painted the legs graphite, to match the walls. It was hard to get a good photo, but hopefully you can see a glimpse of it. It is so cozy, the kids love to sit on it when we are watching movies. So cute! I like the texture that the fur fabric adds! 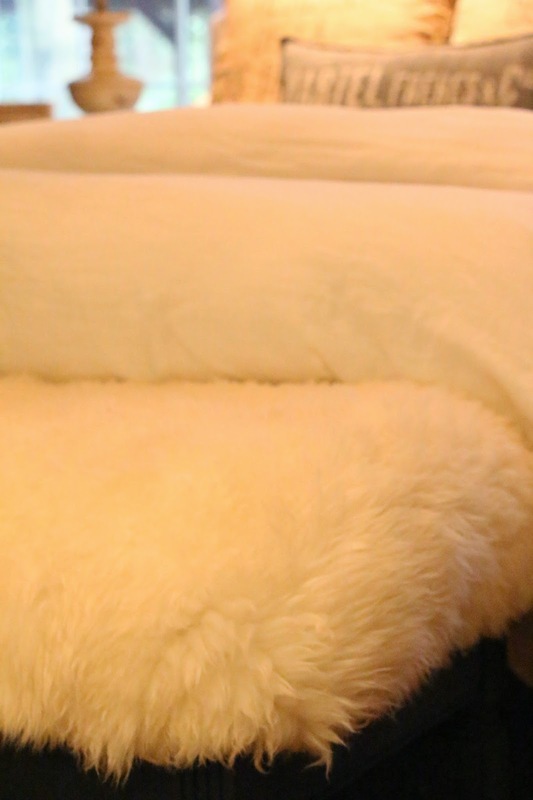 The fur fabric! Good choice. 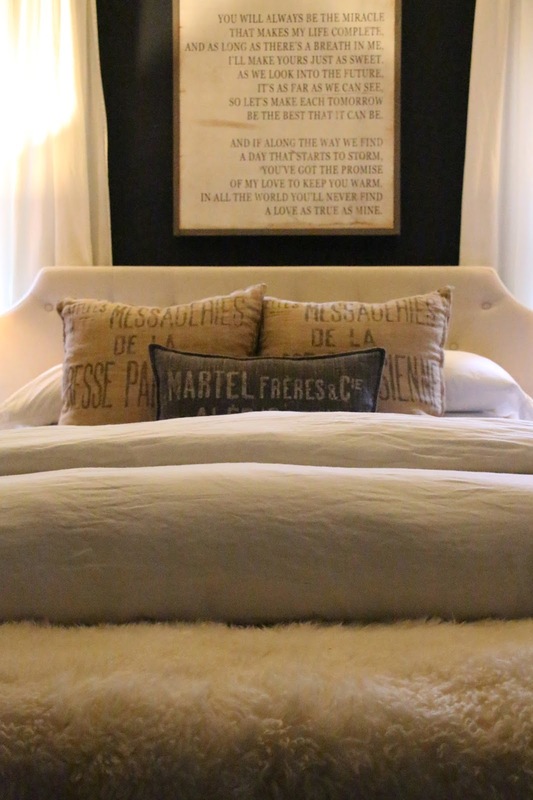 I'm loving the framed song above the bed. George Strait...love. How did you make it or did you buy it?